Travelling Socks - monemades Webseite! There are so many things I love in our international knitting community on Ravelry, and one event which is always fun is travelling socks. 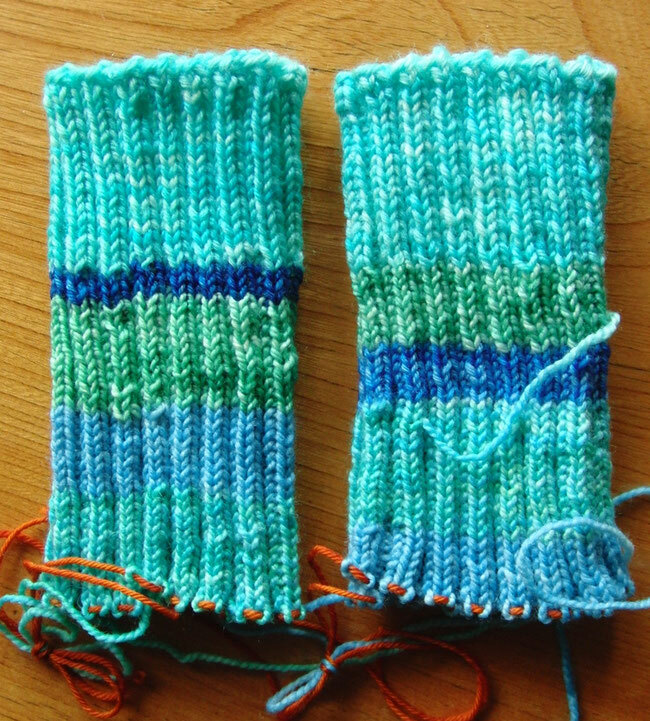 Each participant starts a pair of socks, which is then send to a knitting friend, who adds a bit, then sends it on to the next knitting friend... and so on you get the picture. My socks are currently in the USA, but this week I received two pairs to knit on. The pair below also is for a knitting friend from the USA, Stacy. I am really smitten with her colour scheme, colours from the ocean. 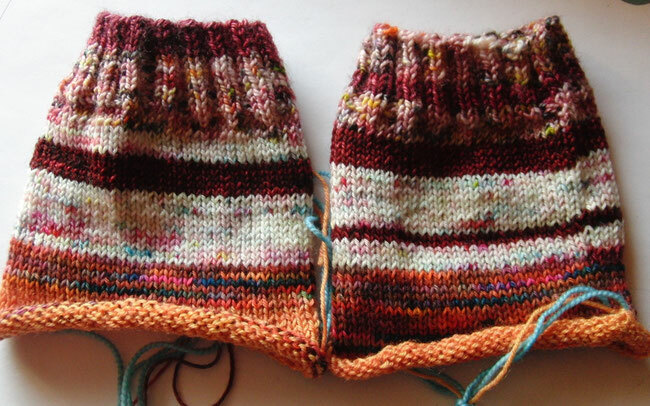 So far these look like socks I'd love to have for myself... not only because of the colours, but because I like the fit of socks knit entirely in ribbing. But just as Laurel's pair, Stacy's pair is now on its way to the next knitter.